A dad called Evan Osnos has an iPad and a 3-year-old. Like many toddlers, the 3-year-old is down to iPad at any moment. The kiddo tried too many times to unlock the iPad unsuccessfully and rather than assuming the unlock attempts were just a child wanting some Paw Patrol, the iPad safety mechanisms went into effect. The result, as can be seen in the screenshot that Osnos captured shows a lock time of 25,536,442 minutes can be seen, the man insists it’s not a photoshop reports Fox News. If you are wondering that is about 48 and a half years of lockout time. It’s not clear what exactly the iPad locked itself at that insane time interval. 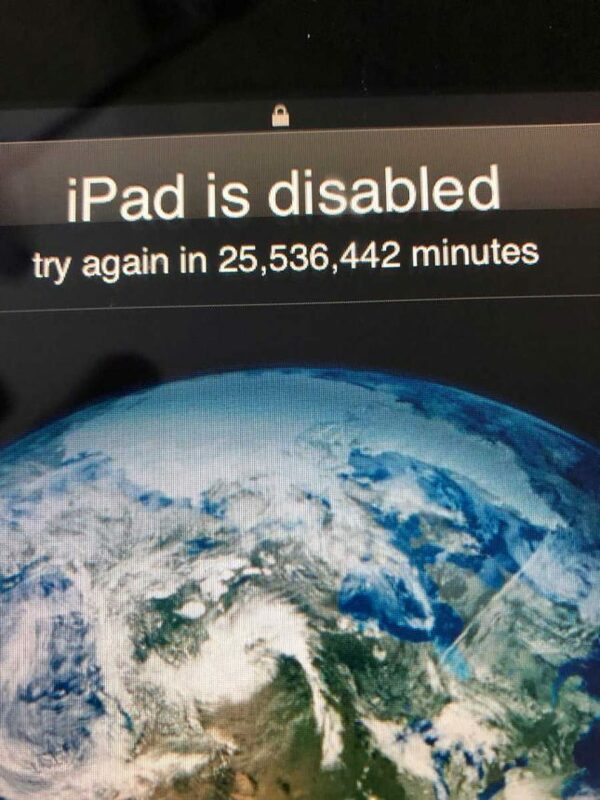 Last Osnos spoke about the locked out iPad, it was still locked with about half a century to go. Apple suggests restoring an iPad form a back up when such issues happen. However, data added sicne the last backup will be lost.